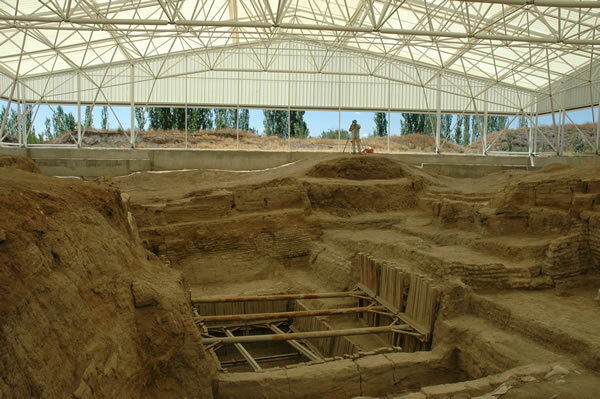 The latest findings from the current excavations at Çatalhöyük will be released at the end of this summer, according to a member of the international archaeological team working at the site. Çatalhöyük, located in southern Turkey, is the largest Neolithic site ever found. The entire site is composed of residential buildings, with an estimated average population of 5,000-8,000. Researchers believe sheep and goats may have been domesticated for the first time at Çatalhöyük. The team currently working at the site has focused their research on biological issues such as plant and animal life, as well as genetics and diseases. “The main goal of the work at Çatalhöyük is to gain information about diseases and plants and their effects on people during that period,” said Gülay Sert, one of the team’s archaeologists. As one of the earliest examples we have of settlement and domestication, Çatalhöyük is an ideal location to study the effects of biological issues on an ancient population. The findings from this site will provide a unique view into the initial changes and problems posed by urban disease and animal husbandry upon a previously nomadic people. This entry was posted in Anthropology, Archaeology, Publications, Turkey. Bookmark the permalink.